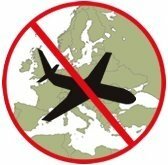 The European Commission has adopted the 19th update of the European list of air carriers which are for safety reasons subject to an operating ban or operational restrictions within the European Union. Venezuelan carrier Conviasa was added to the list. In order to ensure that safety risks are contained, an operating ban on Conviasa certified in the Bolivarian Republic of Venezuela was rendered necessary due to numerous safety concerns arising from accidents and the results of ramp checks at EU airports. The safety performance of two other Venezuelan air carriers, Estellar Latinoamerica and Aerotuy, was also reviewed in depth; however, measures were not considered necessary at this stage. Nonetheless, these two air carriers remain subject to increased monitoring. Serious concerns were identified regarding the safety oversight of air carriers licensed in Libya. So, intense consultations were held with the civil aviation authorities of Libya and with the Libyan Minister of Transport. As a result, the Libyan civil aviation authorities have adopted restrictions applicable to all air carriers licensed in Libya, which exclude them from flying into the EU with immediate effect and until at least 22 November 2012.